Krispy Kreme welcomes 2019 with pops of color by introducing two new delightful treats: the Red Velvet Cheesecake Doughnut and Matcha Doughnuts, which come in three matcharific flavors: Classic, Pistachio, and Macadamia! 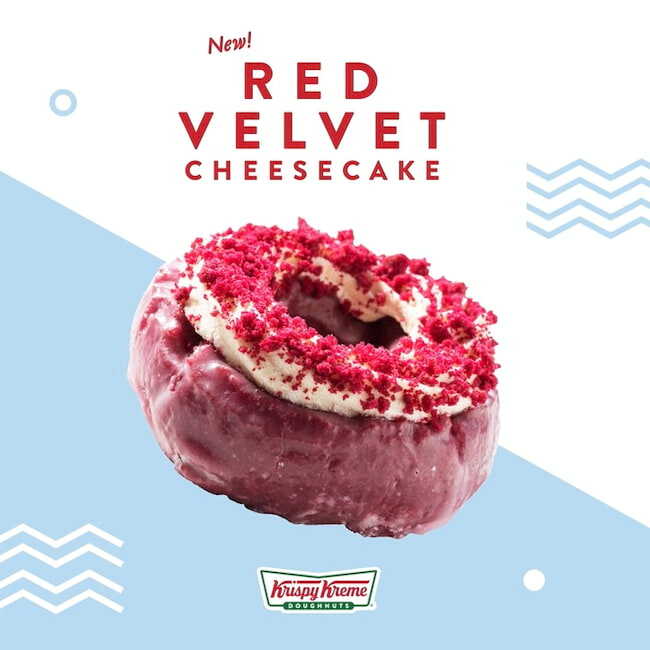 A delectable take on the popular dessert, Krispy Kreme’s version of the Red Velvet Cheesecake features a red velvet glazed doughnut topped with New York style cheesecake frosting and cake crumbs. For only PHP55 per piece, fans of this luscious treat are sure to enjoy a bite after bite of this doughnut’s velvety goodness. 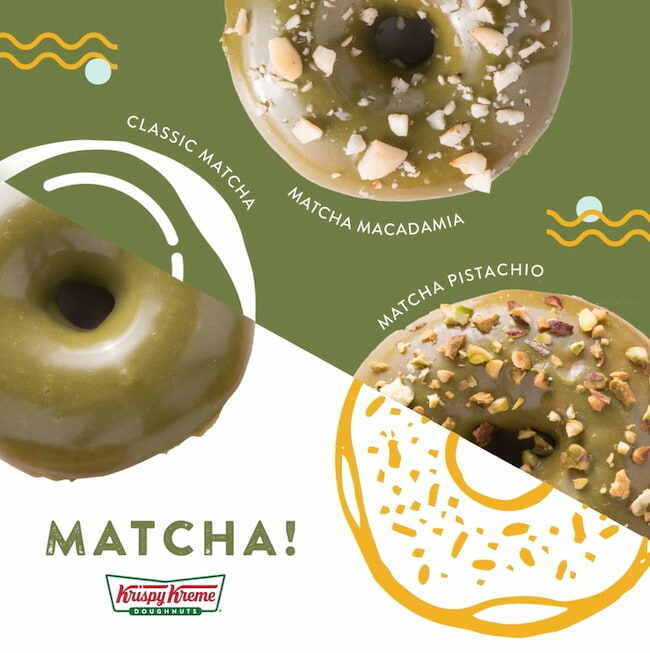 Matcha lovers rejoice with Krispy Kreme’s new Matcha Doughnuts in three indulgent flavors: Classic Matcha (PHP49), the original ring doughnut dipped in a glossy, green tea glaze; Matcha Macadamia (PHP55), Classic Matcha topped with bits of macadamia nuts; and Matcha Pistachio (PHP55), another version of the Classic Matcha finished off with ground pistachios. 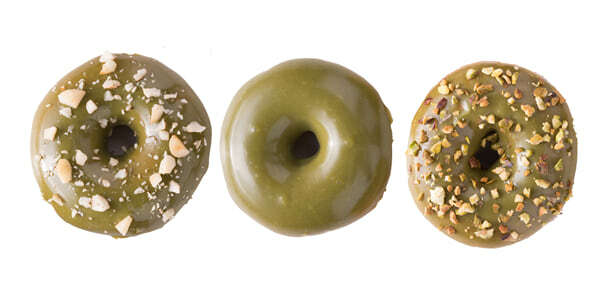 The Red Velvet Cheesecake Doughnut and Matcha Doughnuts are available in all Krispy Kreme stores. Hurry to your nearest store and grab these colourful treats in a Box of 3 for PHP149, Box of 6 for PHP249, Mixed Dozen for PHP395, Dozen Assorted for PHP450, and Double Dozen for just PHP750. Craving for some Krispy Kreme doughnuts? Order online at now.krispykreme.com.ph or call 7-9000!